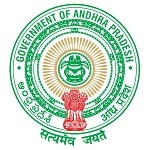 Viskhapatnam District Notification 2018.Agricultural Dept Viskhapatnam District has released a notification for the recruitment of Multi Purpose Extension Officers on Contract basis in 2018 for the backlog and regular vacancies.Check the eligiblity and notification prior to apply for the positions. Last Date for Submission of Application is on November 09th, 2018. Qualification: B.Sc.(Ag. )/ B.Sc. (Horticulture), B.Sc. (Dry land Agriculture) or Agricultural Polytechnic, Diploma in Seed Technology/ Plant Protection/ Organic Farming. Or Diploma in Horticulture or Science Graduate with Botany is the one the subject. Selection Process: Based on Degree marks, Interview. Whom to apply: Joint Director of Agriculture & Member Secretary, Selection Committee, East Godavari Dist., Kakinada. Last date to receiving applications: 09.11.2018.